Expect the Calpers move to prompt serious self-examination among pension funds, foundations and endowments. (Bloomberg View) — The news last Monday was a shock: the Calpers California earthquake. 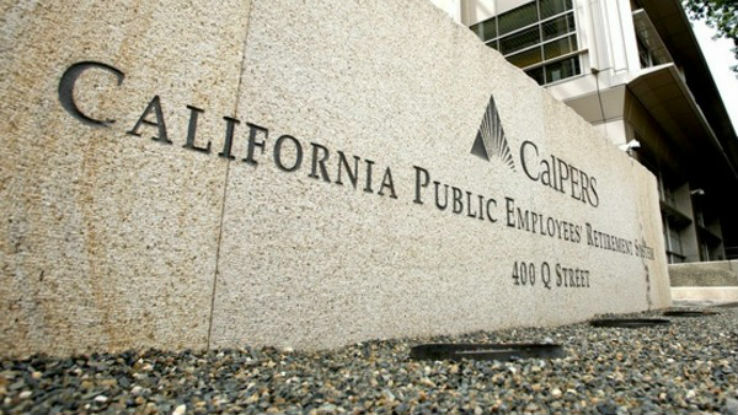 For a variety of reasons, the California Public Employee’s Retirement System, the nation’s largest public-pension fund, said it was dropping hedge funds from its roster of investment allocations. This tremor will be felt far and wide. We are unlikely to know the full impact of Calpers’s decision for some time, as other pension-fund managers digest the thinking that goes into managing $300 billion in assets. It will, however, be influential. Calpers is not only the largest pension fund, but is often thought of as the most powerful. Its thoughtful managers have a reputation for making measured decisions after deep research and internal debate. It isn’t just hedge funds that have come under close scrutiny: All of the alternative investments of the pension giant are being treated to a similar cost-benefits analysis. Last December, Calpers said it was “culling 269 private equity managers to boost performance and oversight.” This, too, followed a long internal review. No one was really discussing a mass exodus from hedge funds, which have skyrocketed from $150 billion dollars under management in 1998 to almost $3 trillion today. Instead, we should expect at the very least the Calpers move to prompt some serious self-examination among other pension funds, foundations and endowments. It is safe to assume these discussions have the potential to roil the industry. Just three days after Calpers announcement, the Teacher Retirement System of Texas said it was reducing its hedge-fund holdings by 11 percent. The debate over hedge funds begins with high fees and poor performance. However, that is merely a leaping-off point. Issues of illiquidity and gated exits are a concern. It is noteworthy that Calpers expects to take a full year to exit from its $4 billion in hedge-fund investments. Concerns about the unfulfilled promise of equity non-correlation with the broader market is another issue. Hedge funds were surprisingly correlated with equities during the financial crisis — they got walloped, though they performed somewhat better than broad equity indexes. Calpers also referred to the high costs of evaluating, monitoring and managing hedge-fund investments. All of these issues are secondary. For those of you who are curious about why Calpers decided to cut out hedge funds altogether, there is the primary but often overlooked question: Why hedge? Put differently, the question for a pension-fund retirement account is simply this: Why does a group with investment horizons of two, three and even four decades, need to worry about hedging short-term investment risk? Consider the investor pool for the typical pension fund: Police, government workers, teachers, firefighters, school personnel, many of whom are in their 20s, 30s and 40s. The investment horizon is a key issue in deciding what sort of risks you are willing to take. The overriding question for this group of investors is how much volatility their portfolio can withstand. The answer was found in Calpers’s decision. When all was said and done, these beneficiaries simply didn’t need a hedge. Of all the words spilled on the Calpers decision, this is one given shortest shrift. More than anything else, from fees to performance to correlation to liquidity to management overhead costs, I expect that simple question to be the one that will resonate the most with other long-term institutional investors. Consider the first-time homebuyer or someone saving for their child’s college education. They will need cash in anywhere from three to 10 years for a down payment or for tuition. But in the event of a market slump, it could be problematic for that investor if it coincides with when they want to buy a house or pay for their child’s freshman year. However, hedge funds don’t do much good. Forget for the moment these investors are unlikely to qualify for investing in a hedge fund. Actually, it’s more likely they would be invested with a 60-40 split between stocks and bonds. And as a recent study by Vanguard has shown, such an allocation outperformed almost all hedge funds during the past decade. As for retiring in 20 or 30 or 40 years? Buying an expensive and complex hedge for that investment horizon is a waste of money, serving as more of a post-crisis emotional salve than a functional part of any portfolio. Indeed, before discovering hedge funds, many pension funds hedged their bets by splitting their assets between stocks and bonds.